ZAMBOANGA CITY, Jan. 22 (PIA) -- At least 150 persons participated in cleaning the coastal stretch of R.T. Lim Boulevard this morning, spearheaded by the 905th Community Defense Center of the Ninth Army Reserve Command (ARRESCOM) headed by Maj. Samad R. Gayac, represented by Lt. Dominic Soriano. Lt. Soriano said the clean-up drive was part of the order by ARRESCOM for Reserve Officer Training Corp (ROTC) units to conduct such activities. “The order is for ROTC units to conduct ng coastal training, blood-letting and tree planting activities, throughout the Philippines,” Soriano said. At least 100 ROTC officers and cadets from Universidad de Zamboanga (UZ) participated in the activity, with representatives from the Department of Environment and Natural Resources – Community Environment and Natural Resources Office (DENR-CENRO), Task Force Zamboanga, Coast Guard and the city government joined the clean-up drive. Task Force Zamboanga (TFZ) Civil Military Officer Maj. Jaran Abdula said these are programs that they also promote to help bring back the spirit of “Bayanihan” to the people as ordered by TFZ Chief Col. Buenaventura Pascual. “We would like to be involved in such activities to reach out to the communities and help them in any way we can as part of our Internal Peace Security Plan - BAYANIHAN”, Abdula said prior to the activity. 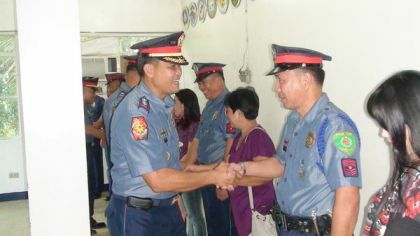 Lt. Soriano thanked all partners who helped in the realization of the activity.